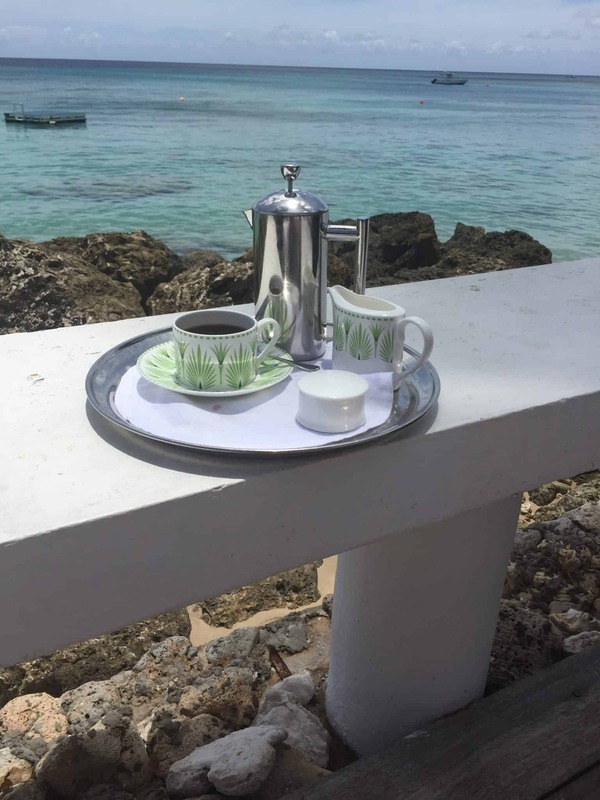 As most of you might have noticed via my instagram and twitter, I spent a few days at the Cobbler’s Cove Barbados. This was my first time visiting this beautiful island. It has been on my bucket list for sometime. I have to say, I am in love with Barbados. It’s warmth, its beauty, its people, its culture and its cuisine. I was lucky to stay at this garden filled paradise. It is unlike any other hotel I have ever visited. 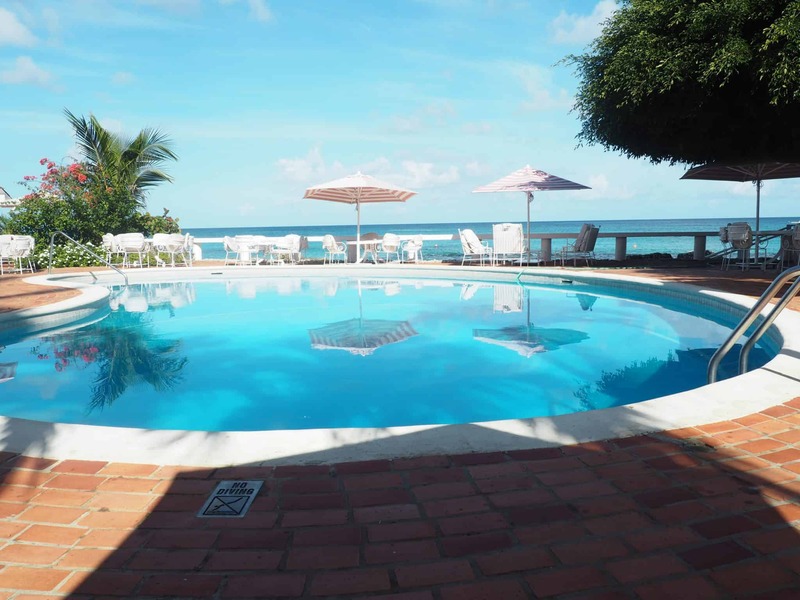 This is a boutique style hotel in a relaxing and tranquil setting. 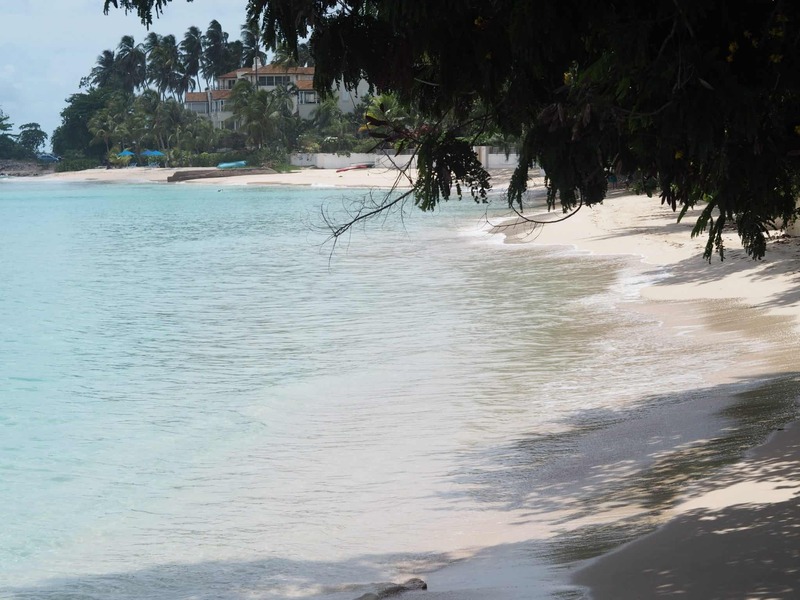 It is located on a quiet beach in Barbados and about 45 minutes from the airport. I love the decor of the hotel. 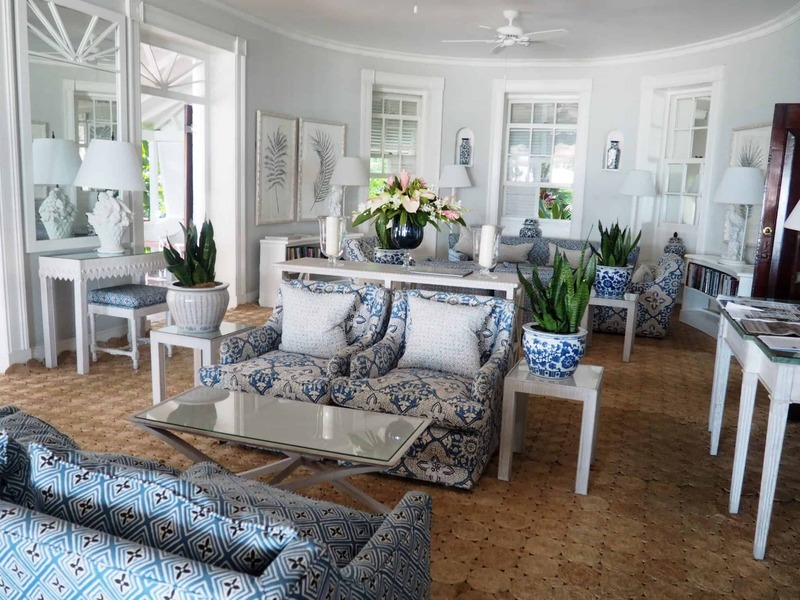 It is beautifully decorated in an island stye vibe. My room had a cottage-style feel to it. My flight from Toronto was a direct five hour flight on Air Canada. It was a smooth flight and the time flew by since I was catching up on some Netflix episodes. 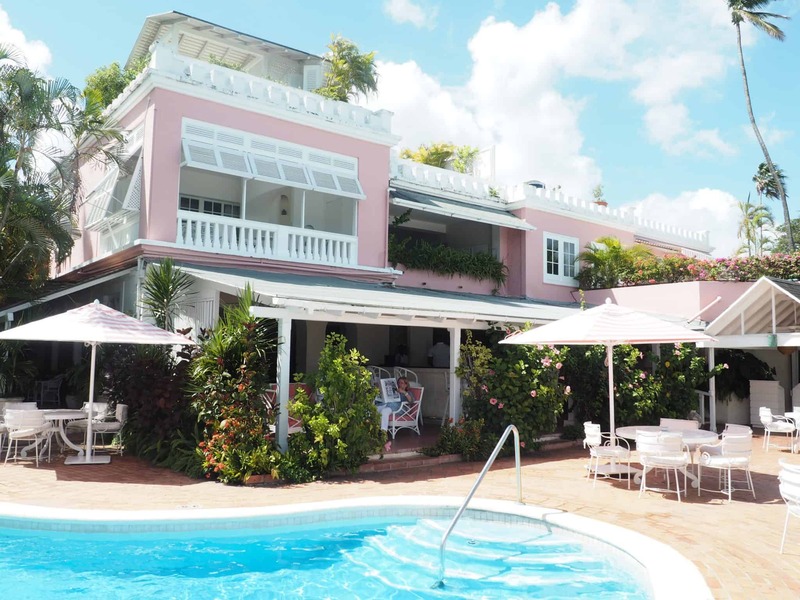 The Cobblers Cove main house, now known as the Great House, was built in 1943 by plantation owner Joss Haynes and has undergone extensive renovations and expansion works over the years to complete its transformation from a family beach house to a luxury boutique resort hotel. 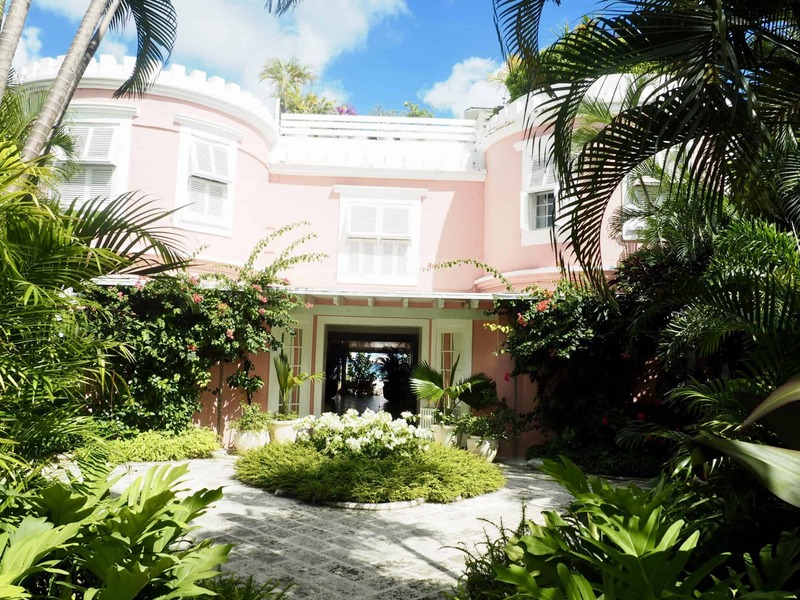 The iconic pink and white building still retains the beauty of the original architecture with its charming bay windows and turreted roof tops. 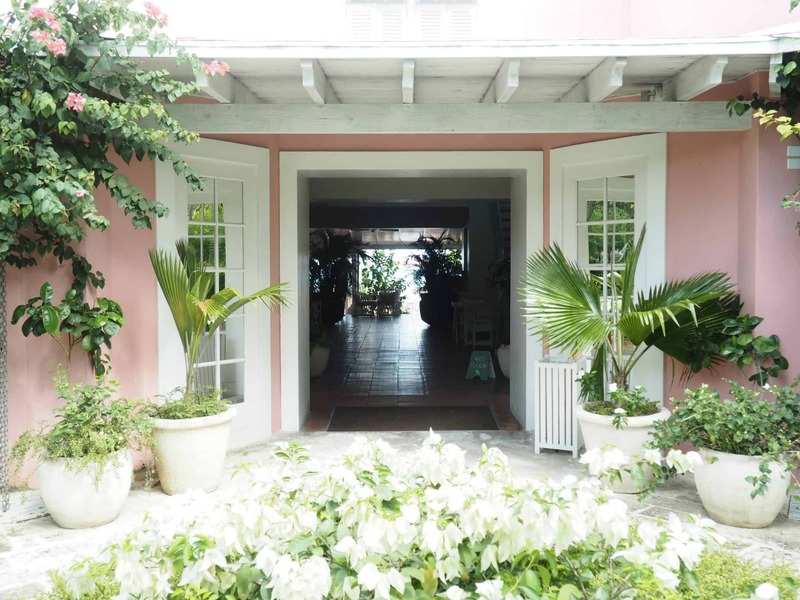 The main building with the coral pink stone frontage has striking views through the Great House out to the blue waters of the ocean beyond – a stunning Bajan welcome. 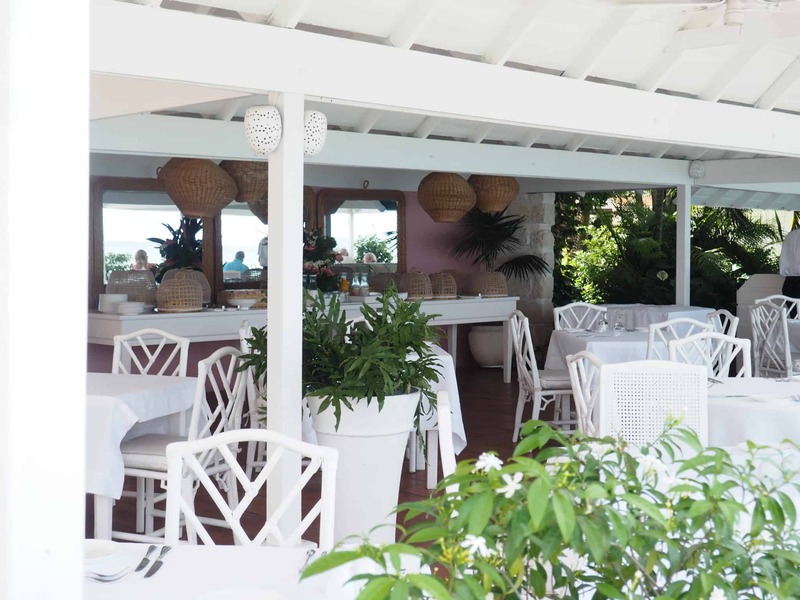 The house is home to the terraced Camelot Restaurant and Bar, both open to balmy tropical breezes and overlooking the palm fringed beach and the poolside deck. The Drawing Room is situated in the main house. I love the colonial decor of this room. Set atop the Great House are the hotel’s two magnificent signature suites, the Camelot and the Colleton. 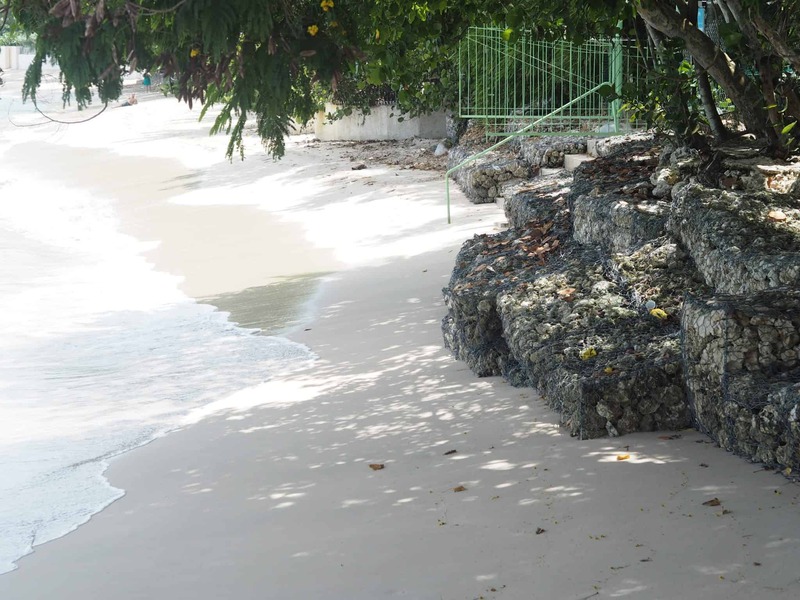 The Cobblers Cove embraces its Bajan heritage which is reflected in the use of indigenous resources throughout the hotel – the original steel in the buildings came from the old island railway, the decorative coral rock was carved on the island and all the furniture is made in Barbados. The architecture blends the grandeur of an English estate with the laidback style and tropical vibrance of the Caribbean. I love the character and charm of this hotel. I stayed in a garden suite. 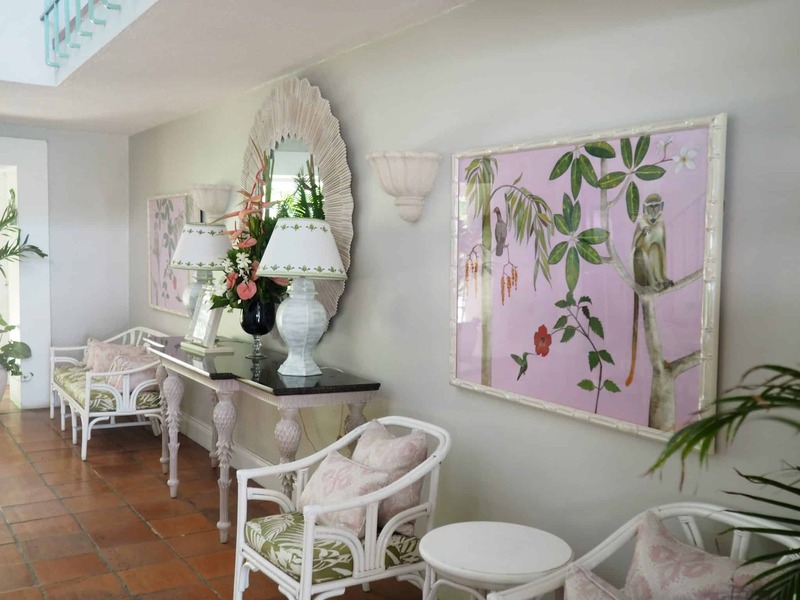 The decor is a colonial style with Caribbean living. The room is set within an exquisite garden, each of the luxury suites is beautifully appointed and individually designed. Set amidst swaying palms and tropical foliage, the Cobblers Garden Suites offer 560 square feet of relaxing and comfortable accommodation. The rooms offer private terraces or balconies where a wall of shutters opens to the lush gardens. Allowing for an open air experience bringing the outside elements into my Caribbean-English country cottage living room. My room was a beautiful oasis that I could of stayed there all day. Suites offer either king size or twin beds with Egyptian cotton bed linens and goose down pillows. Bedrooms are air-conditioned and ceiling fans cool both the living room and bedroom. 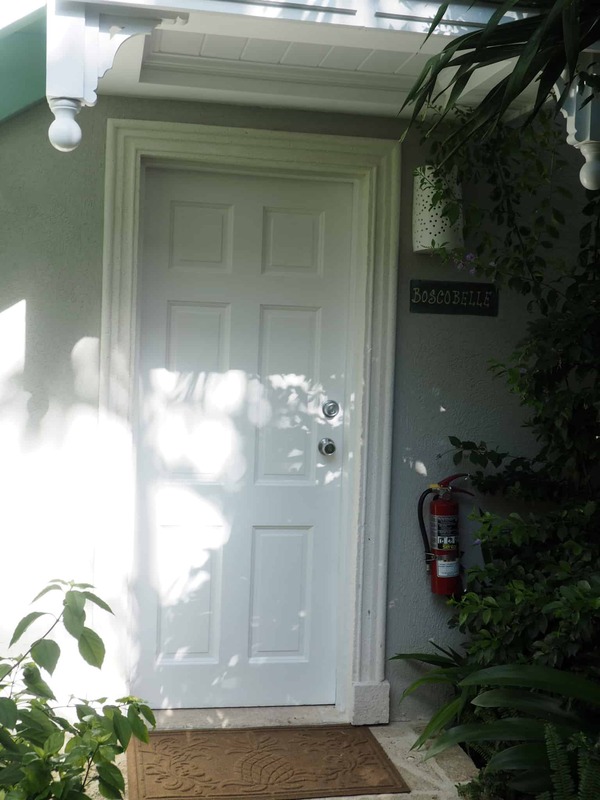 The rooms are incredibly spacious bringing the outdoors inside with beautiful views of the garden or ocean. At the end of each day, I enjoyed returning back to my room to find my room turned down with some delicious cookies waiting for me for an evening snack. The rooms also have a spacious living room area that opens to the garden along with a fridge, and your own coffee press for fresh brewed coffee , my favourite way to make coffee. Bathrooms include marble finishings, “his and hers” wash basins, bathtubs or stand-alone showers. The pool is located off of the Main House. 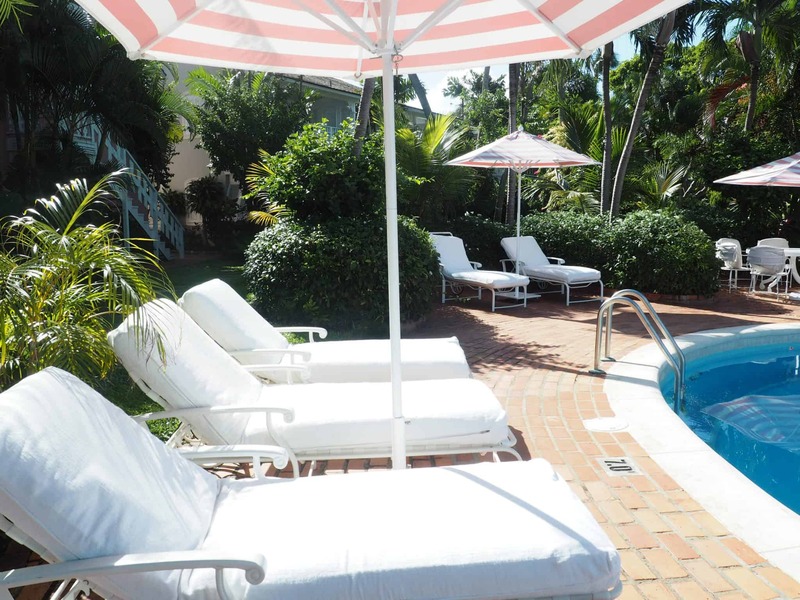 It is a quiet pool area where you can soak up the sun and take an afternoon siesta underneath one of the umbrellas or trees. I have visited a few different islands in the Caribbean but I have not seen water this blue. It is stunning. The water is so clear. There are different entrances to the beach. There is a stairway that takes you through the large rocks through a small path luring you out to the tranquil blue sea. Another entrance is located to the side of the hotel with a sand beach. 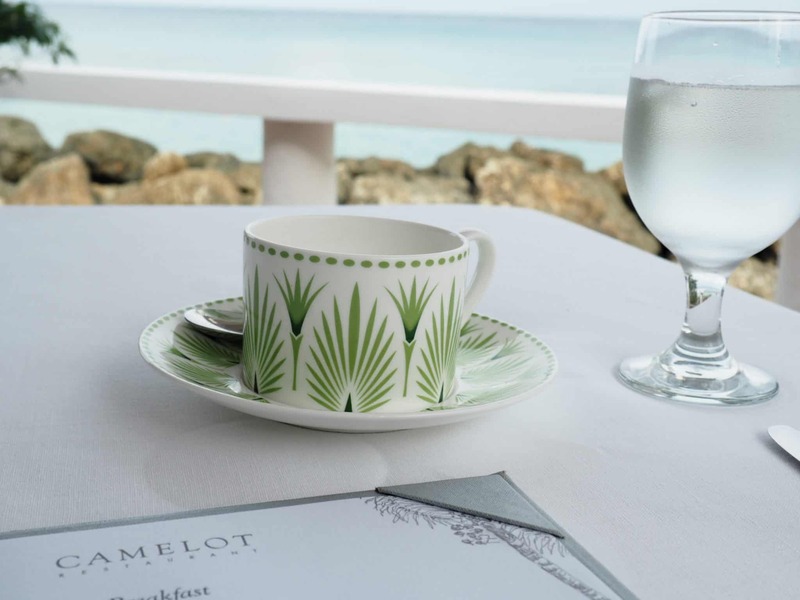 The Camelot Restaurant is located on the patio of the main house overlooking the beach. 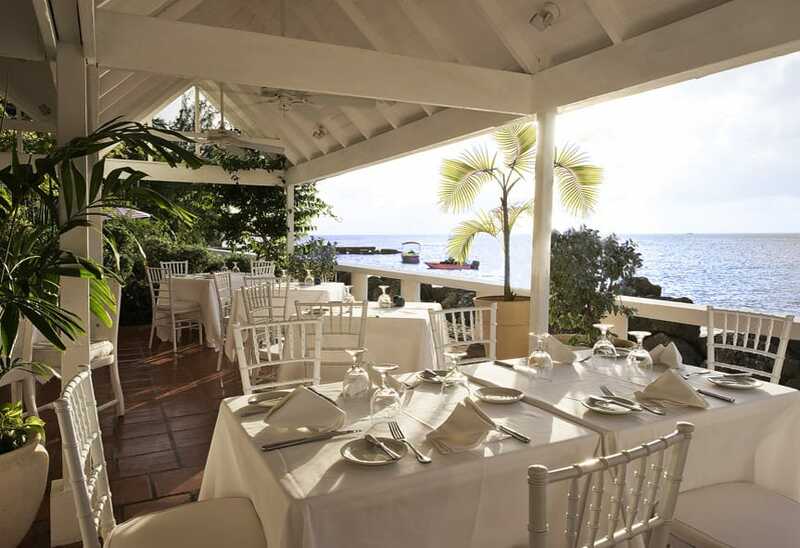 The award-winning restaurant even held the Barbados Hotel & Tourism Association’s ‘Restaurant of the Year’ accolade for 2014-15. 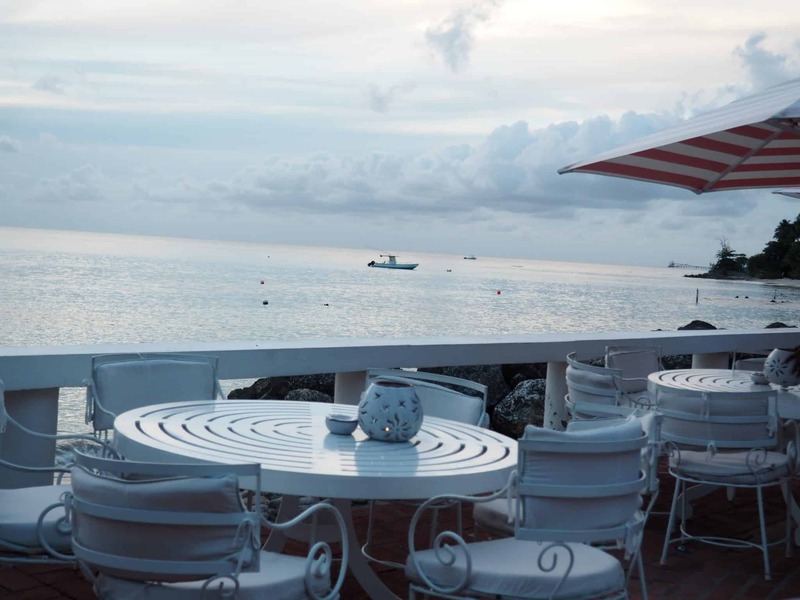 Breakfast, lunch, and dinner are served outdoors at this oceanfront restaurant. Chef Jason Joseph and his team source many of the ingredients from local suppliers to make the freshest, most flavourful meals. Local fisherman Barker brings freshly caught fish to Camelot Restaurant each day. Cobblers Cove’s reputation for excellence in cuisine has earned the hotel its much coveted 5 star recognition from the prestigious Relais & Châteaux group, whose emphasis on food and wine has set the culinary bar at the highest level. I enjoyed many seafood dishes during my stay. Everything was spectacular. 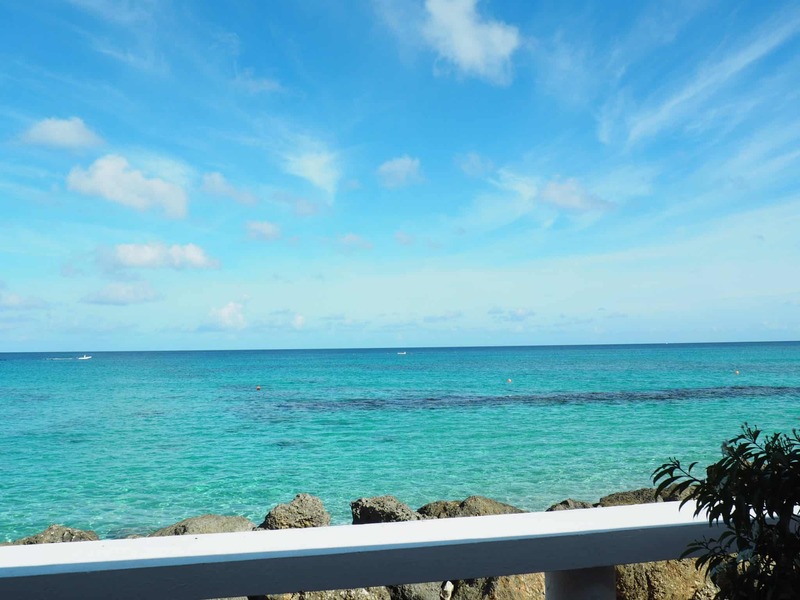 The Cobblers Cove offers complimentary lessons in water skiing, sailing and windsurfing each day. 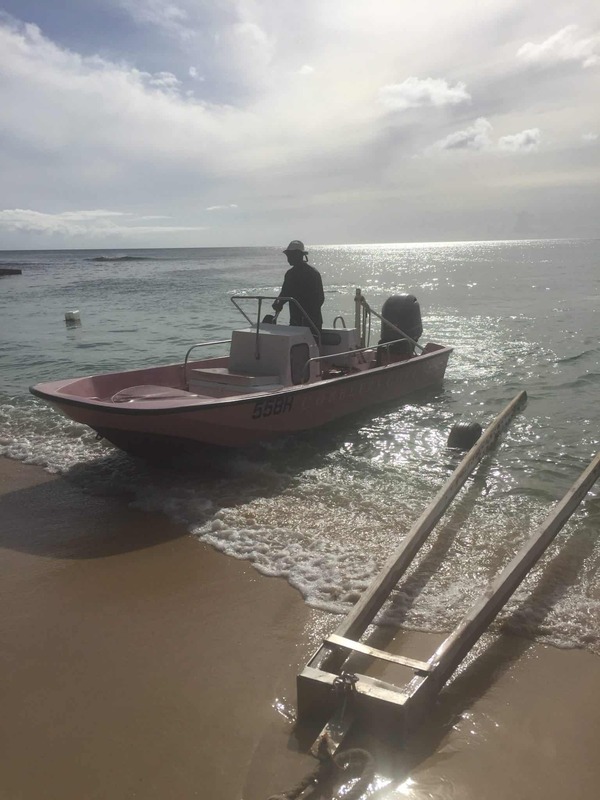 Although I didn’t water ski, I did enjoy a complimentary boat ride taking in the sights of the Barbados shore line. 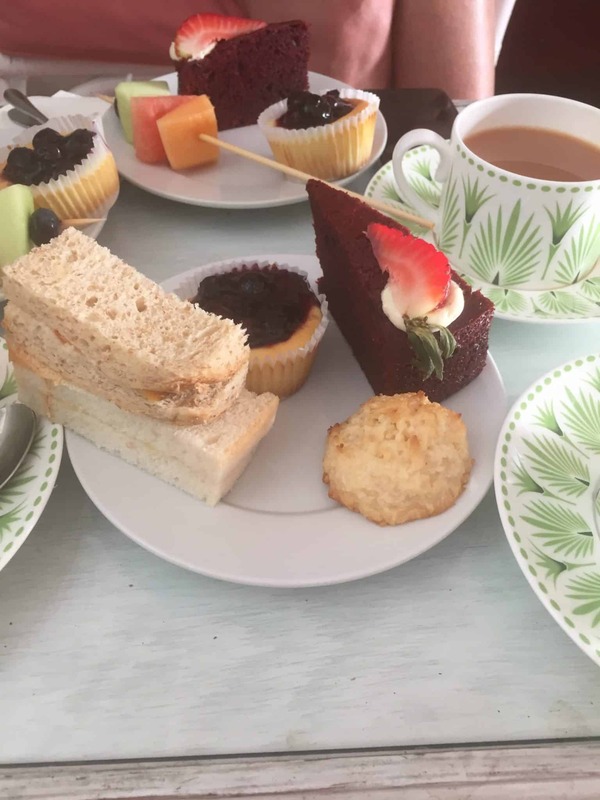 The highlight of the day was tea time which rolled around at 4pm each day. 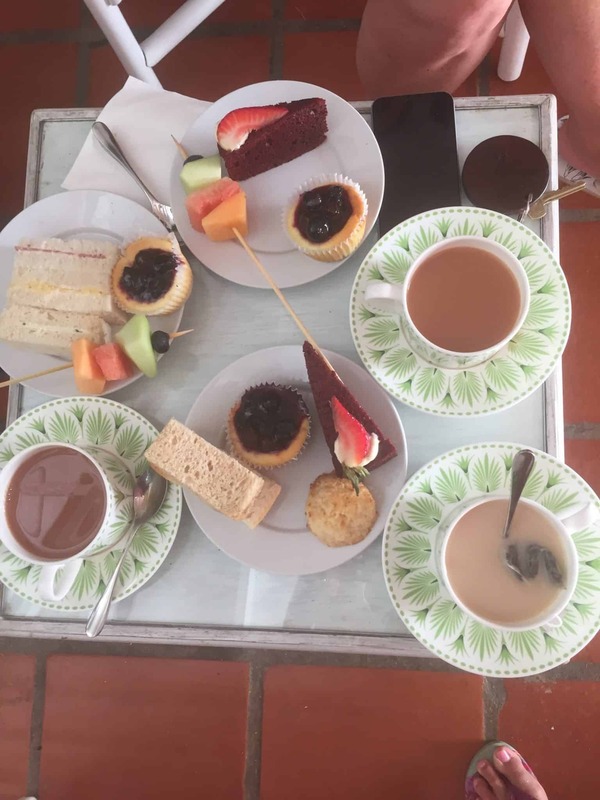 There is an assortment of tea and coffee along with finger sandwiches and various desserts. 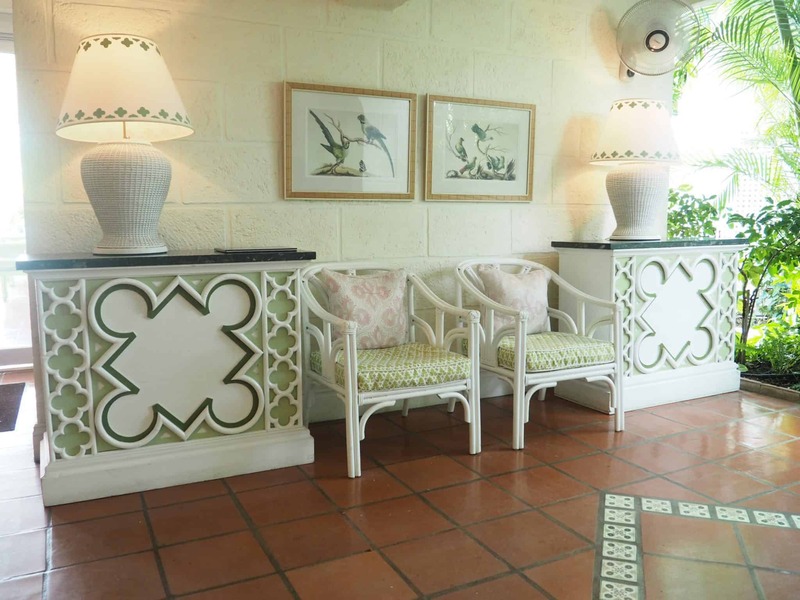 I love the decor of the Cobblers Cove. If you’re planning a visit to this stunning island I would highly recommend staying at this beautiful hotel. 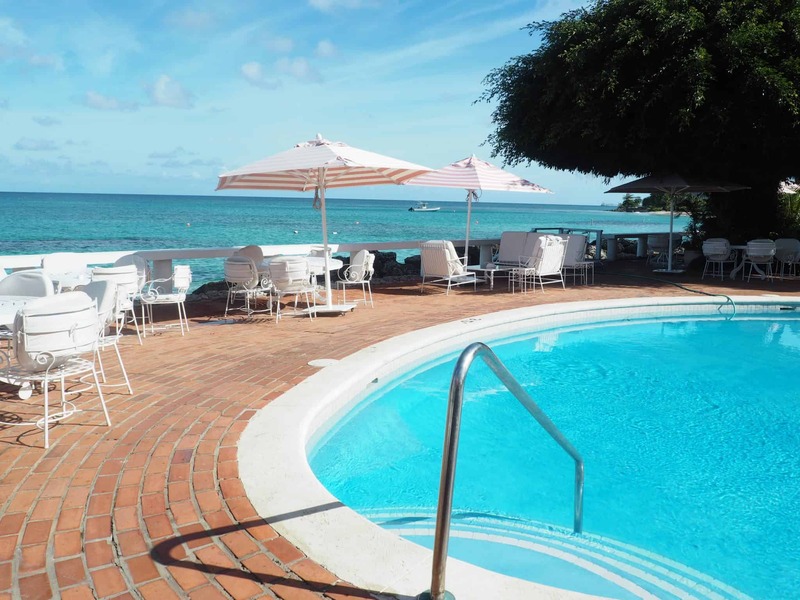 Visit their website to book your stay at the Cobblers Cove. Be sure to follow them on their social media channels Instagram , Twitter , Facebook and Pinterest for some island inspiration. 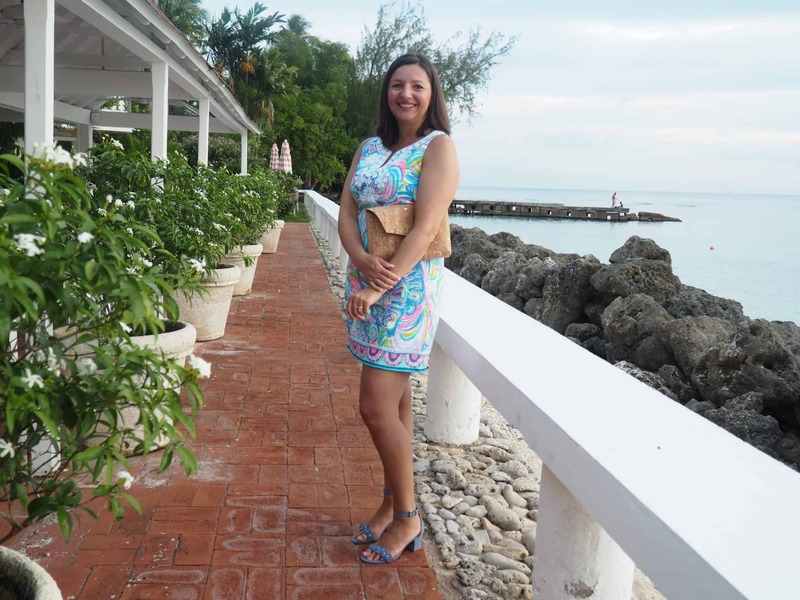 Thank you to the Cobblers Cove Barbados and their wonderful staff for a memorable experience that I will never forget. I can’t wait to return. Wow – what a beautiful hotel! I love that it’s pink! Looks like an amazing place to relax and decompress. Beautiful photos! such an amazing hotel. I want to go back. It’s the perfect place to relax. This hotel is an absolute Dream, I just loved everything about it. I’m not sure if my original comment posted, but this place gives off the ultimate island feels!!! I love the pool area, I could easily just lay out there all day every day and be totally content!! It was such an amazing hotel. It is a smaller hotel so had a more intimate feel and I loved it. This place looks divine! So relaxing and inviting. I went to Barbados last year and I loved it so much I can’t wait to go back! This place is on my list for where to stay! Oh my goodness!! This place looks so beautiful! I literally want to go right now. LOVE the color of the outside of the hotel and the inside is gorgeous too! I would def enjoy tea time!